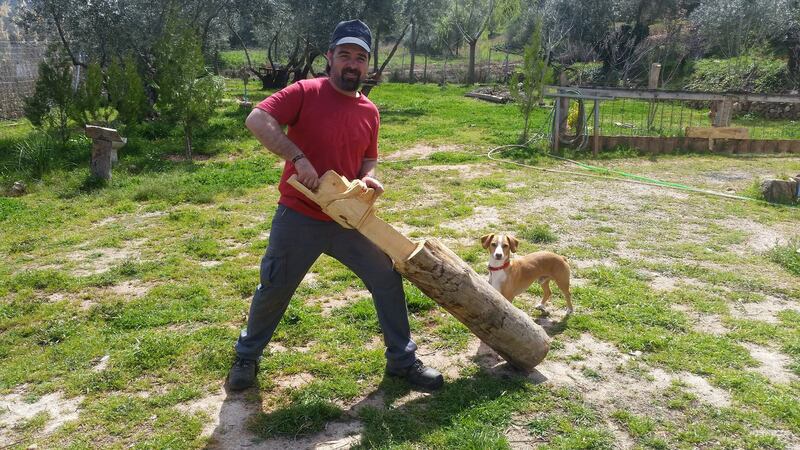 His works is done on trunks of olivewood with chainsaws, finish sanding and polishing using power tools after a tinted wood by fire and finished in wax oil, avoiding any chemical element. 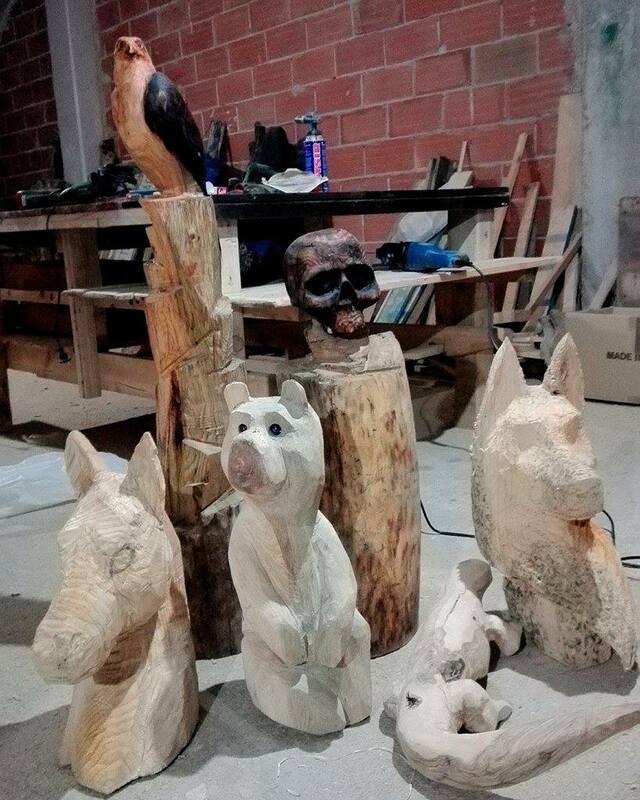 The idea would fill the place of wooden figures, he works very fastly and you can show his works in live the end of July and the two first weeks in August. Omar works in his village in Jaen.